There is always something happening at Taconic Distillery. Whether it be R&D on a new offering and a cocktail tasting party, or playing with the dogs as we wait for the whiskey to age to perfection. You can stay up-to-date with what’s happening here by checking back frequently or liking our Facebook page. For decades, beverage makers like Taconic Distillery in Dutchess County, have taken a locally-focused, earth-to-bottle approach to their craft. Award-winning wines, beers, and spirits are a testament to our success. We're proud to be a part of this group of artisans. Read the blog. Download the PDF. 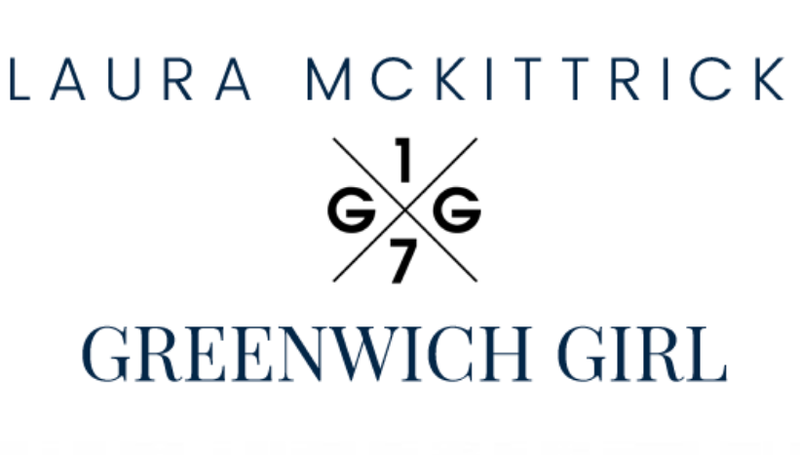 Taconic's owners Carol Ann and Paul Coughlin are featured in Greenwich Girl Magazine. Taconic Distillery gets its first mention in The New Yorker in a splendid review of Cardiff Giant. "Everything on the menu, including the snacks, is made in the Empire State, which means you can sit in the quiet back garden while nursing Taconic Distillery’s small-batch Founder’s Rye, from the Hudson Valley..."
Read Lauretta Charlton's full review. The Whiskey Reviewer gives A+ rating to Bourbon Barrel Aged Maple Syrup. Read "Taconic Distillery's Bourbon Barrel Breakfast Treats" by Randall H. Borkus. Main Street Magazine pays a visit to Taconic Distillery. Taconic Distillery Founder's Rye Whiskey awarded a 90.5 from Jim Murray's Whisky Bible. February, 2017 - Taconic Distillery's Founder, Paul Coughlin, featured in Taste the Dram blog. Tell us about what whiskey you currently produce. Do you source the ingredients locally, if so, how important is it? PC: All of our whiskies are produced from local New York grains. It is a feature that is important to us as New Yorkers and important to the local region where we operate. Some bourbons and ryes have qualities that naturally suggest maple syrup—warm baking spices, apple, etc.—but this base spirit seems to move in a different, more herbaceous direction. View the article. Download the pdf. December, 2016 - Taconic Distillery makes Rural Intelligence's ANNUAL HOLIDAY GIFT GUIDE. This Stanfordville, NY distillery and tasting room was only officially completed in August of this year, but its Dutchess Private Reserve Straight Bourbon Whiskey already has earned accolades from Hudson Valley Magazine and Maxim. View the gift guide. Download the pdf. "...easy to drink when sipped neat as it immediately put a smile on my face. I thought to myself, 'this is going to be fun.'" Read the full article. Download the PDF. What they did was put green, unroasted beans in a barrel that had been used for rye and then rum at Taconic Distillery, aged them for three months, roasted them “and boom, Drunken Dog was there." Read the full review. Download the PDF. April, 2015 – The adoption of a new name. Millbrook Distillery, voted Best New Bourbon in 2014 by Hudson Valley Magazine, Best Bourbon by Maxim Magazine (May 2014), and winner of recent CBS Radio bourbon taste test, becomes TACONIC DISTILLERY. The new name reflects the distillery's location in the historic Hudson Valley, home to bountiful farms, beautiful scenery, and National Historic Landmarks. The logo continues to feature our beloved Copper, the American foxhound. Read the full review. Download PDF. May, 2014 – THE MILLBROOK INDEPENDENT interviews founder Paul Coughlin. “I am an avid sportsman. I love the outdoors. I started coming up to shoots at Tamarack and Orvis in 2004 or 2005.” Read the full interview. April, 2014 – THE WHISKEY REVIEWER rates Millbrook’s Barrel Strength Whiskey. Read the full review. Download PDF. March, 2014 – HELLO HUDSON VALLEY! By Carlo De Vito, author of Wineries of the East Coast. March, 2014 - Awarded Best of Hudson Valley by Hudson Valley Magazine. February, 2014 – THE WHISKEY REVIEWER gives Millbrook Distillery high marks. “Dutchess Private Reserve offers a rather sweet nose, with corn and cereal grain, as well as vanilla. On the palate, you’ll find a bourbon made for sipping, eminently enjoyable and easygoing. Very smooth, with more vanilla, honey, and a malty sweetness. The finish is pleasant and warm, lingering without overstaying its welcome. The bourbon is very consistent throughout. Add ice and the bourbon becomes chewier, with more pronounced grain flavors and a shorter, sharper finish. 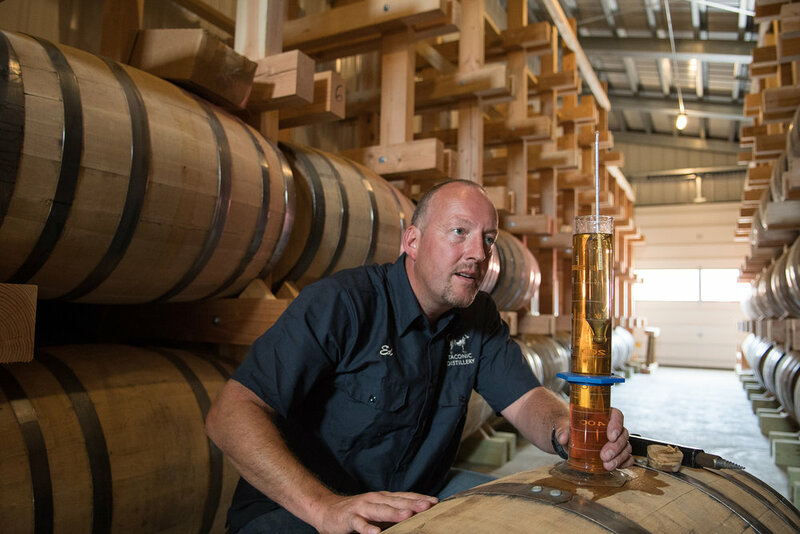 January, 2014 – THE MILLBROOK INDEPENDENT features Millbrook Distillery's Bourbon debut. Read it. December, 2013 – MAXIM Vices reviews Millbrook Distillery. Read it. October 21, 2013 – Millbrook Distillery bottles its first batch of Dutchess Private Reserve Bourbon. If you're covering Taconic Distillery for a feature, we have a variety of images for your use.